Choose the resource, the role played (project manager, customer, worker etc.) and if you already know, an estimated effort in hours. Twproject will tell you the work load of the resource chosen, to ovoid resource overloading. Assignments in Twproject are very important: when you assign a resource you will also implicitly define security settings of the task. In fact every assignment is “weighted” by a “local role” that gives permissions to the assignee. Permissions are, by default, propagated to descendants, so if you are PM on the root you have PM permissions everywhere, but if you are assigned on a child you can act on the child, not on the parent. This makes Twproject security very fine-grained, without the stress of managing permissions separately. Some basic roles are created during setup, but you can define new ones from the administration page. 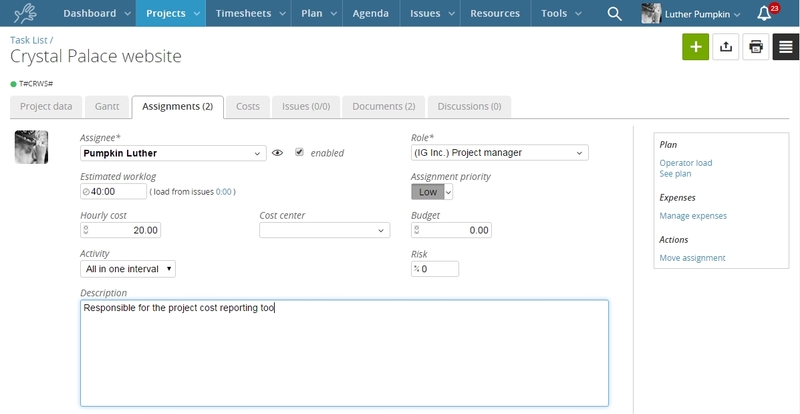 Then you can describe the activity, assign a priority, specify an hourly cost and a cost center. Regarding the estimation of required work, the assignment is the place where it is mostly done; it allows a very fine grained and practical estimation entry point. 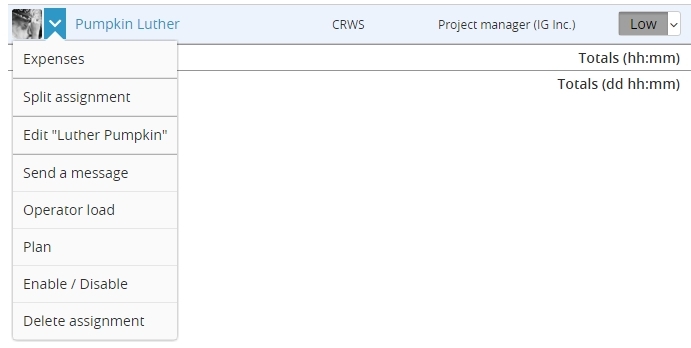 Notice that directly from this editor you can check the current load of the assignee and check the planned work if you are using that module. Load by issues: effective when working in an “agile” environment, and in general by issues (see chapter 4 Issues).Click on the link to see issues on which work has been estimated. Activity: could be “all in one interval” or “routine”. Routine activities can be recorded in Twproject without interfering with the “all-in-one-interval” main ones that usually have more focus and relevance. Enabled: in some cases a resource can have long-standing task assigned that don’t require activity for a long time. 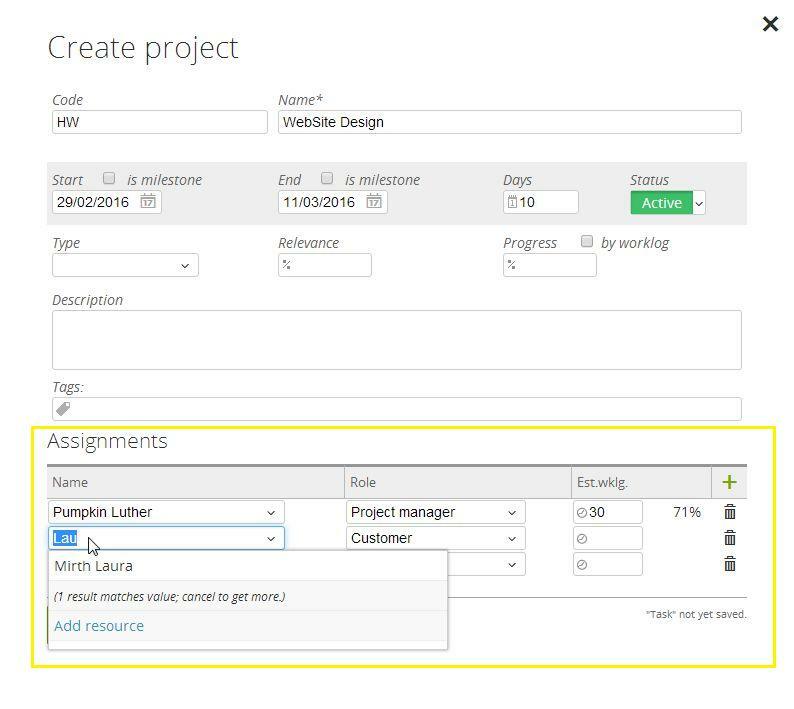 In this case you can disable the assignment (the only effect is that it will be hidden in your working pages like home page, timesheets or “my tasks”). Risk: this is the risk percentage assigned to the resource relatively to this task. This is used mainly when the assignee is at least in some sense a stakeholder, and you have more than one that are sharing the risk. Budget: is an amount of money dedicated to the resource for expenses on this task. This budget is part of the project’one. Hourly cost: hourly cost for the chosen resource on this assignment. By default is the value taken from the resource hourly cost editor if set. Global defaults otherwise. 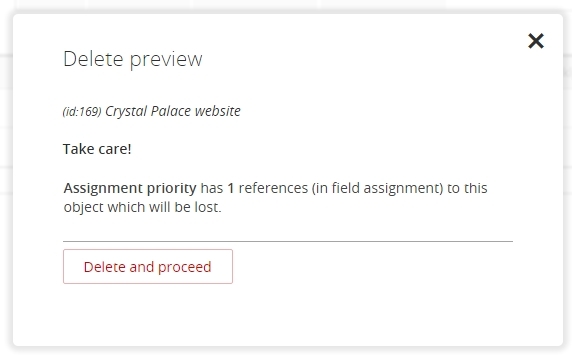 The hourly rate is copied into the assignment at creation, but if you update the general price of the resource, the already existing assignments will intentionally not be updated, as you may have set that price as an exception. Our idea is that the same resource may have different costs on different assignments, as it is often the case in the real world. Expenses: on every assignment you can insert specific “expenses” and a budget. 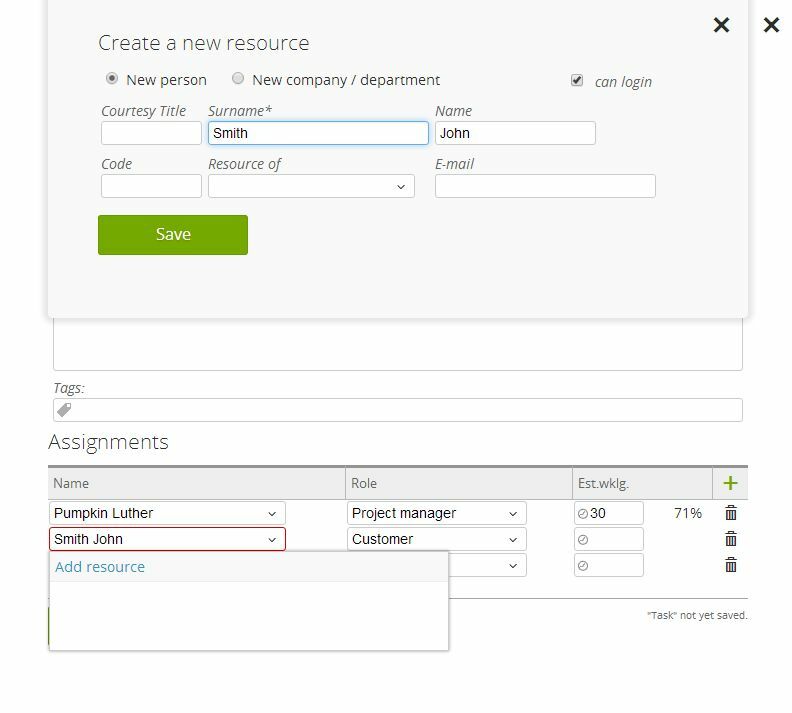 Expenses can be inserted both from the assignment editor and also from worklog week page. Split assignment: open a tool to split the unused hours to a different resource. This tool is used specially when you create projects without knowing how will work on, but you want to specify efforts. All data linked to the assignment will “follow” it e.g. worklogs, estimations, expenses, subscriptions. Issues are linked to resource / task so they will not follow – use bulk issue move to move those too..